YNX for Children with Disabilities (Give It 2 Get It #25) – Yannix(Thailand)Co.,Ltd. 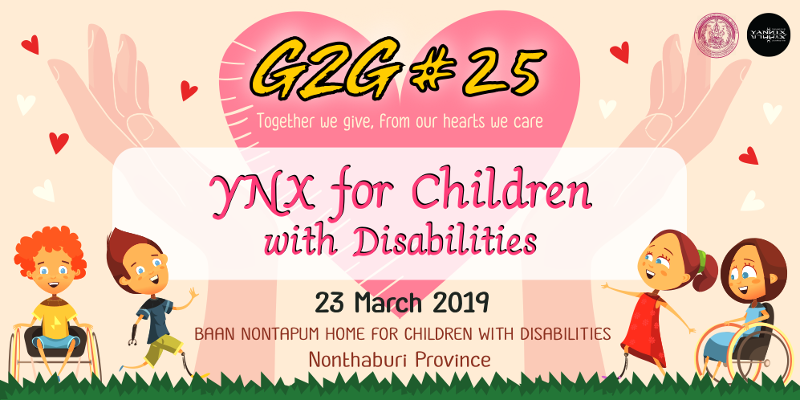 For our next Give It 2 Get It event (G2G #25), Yannix Volunteers will visit the Baan Nontapum Home for Children with Disabilities. Generally, children housed at Baan Nontapum Home for Children were discovered in various public places after having been abandoned by hospitals when their families could no longer afford to care for them. This Saturday, (March 23), Yannix will donate much needed supplies, and G2G Volunteers will be on hand to treat the children to a charity lunch.